Home Business Student Loan Interest Rates: What do they mean for you? Joe analyses the real effects of student loan interest rates for students. The tuition fee debate is one which has divided the nation for decades. From Labour’s reintroduction of fees in 1997 to the Tory’s tripling of them in 2012, the cases both for and against seem to transcend party lines. Recently, however, a new debate has emerged. As you may have heard the interest rate on student loans for this year has risen to 6.1%, up from 4.6% last year, while the Bank of England base rate of interest lies at the record low of 0.25%. This has led to outrage among some, as the stark increase will lead to significantly higher repayments than students may have expected when applying for university. In fact, Tom Woolf, founder of EdAid, a company which provides alternative sources of funding for university students, observed that students starting their fresher’s year this October will accrue around £6000 of interest before they graduate. To make matters worse, a three year degree starting this year will result in up to £108,000 of interest on a £27,750 loan before the debt is written off after 30 years. These are probably facts you would rather have done without knowing, and may well seem like usury, however it is the reality our current system; a system which many students fail to fully understand. These interest repayments on student loans are probably why the Institute for Fiscal Studies (IFS) found that 77% of students never repay the full amount owed. Upon hearing this, most people react in one of two ways. Either the glass is half full, and they are relived that they aren’t truly burdened by the full debt, or the glass is half empty, and they see themselves as doomed to pay for their three years of higher education for the next three decades. Both of these positions are perfectly rational; on the one hand chances are you’re paying back a fraction of what you owe on paper, while on the other the interest rate system means that you’re paying back far more than you borrowed in the first place. However, it is better to view the current student loan system as a graduate tax, rather than a debt burden, as this is the way the system and its repayments function. There is no doubt that being in debt upon graduation causes distress among many students, and as Martin Lewis of Moneysavingexpert.co.uk aptly puts it: “In many ways the biggest damage of student loans is psychological, not financial. Many are petrified of the huge ‘debt hanging over me’, even though the system really doesn’t work like that”. In actuality, the current hike in interest rates only truly affects the highest earning graduates. All graduates who received student loans have their income taxed a flat rate of 9% of everything they earn above £21,000 a year. So regardless of the size of your debt, whether it’s £45,000 or £450,000, you will have the same monthly repayments until the debt is written off. For the vast majority of us (that is, the 77%), this means that rising interest rates have no effect, as our monthly payments remain the same, as do the number of payments we have to make. That’s all well and good, but what of the 23%? Those who earn enough in the 30 years after their graduation to fully repay their loans? I’m sure those of you reading this aspire to be a part of this illustrious (if somewhat exclusive) group, but unfortunately these are the few that will be impacted by the increase in interest rates. The most likely consequence is the time period over which you make your repayments increases, while the payments themselves stay the same. This results in a higher overall repayment than would otherwise be experienced had interest rates remained static. 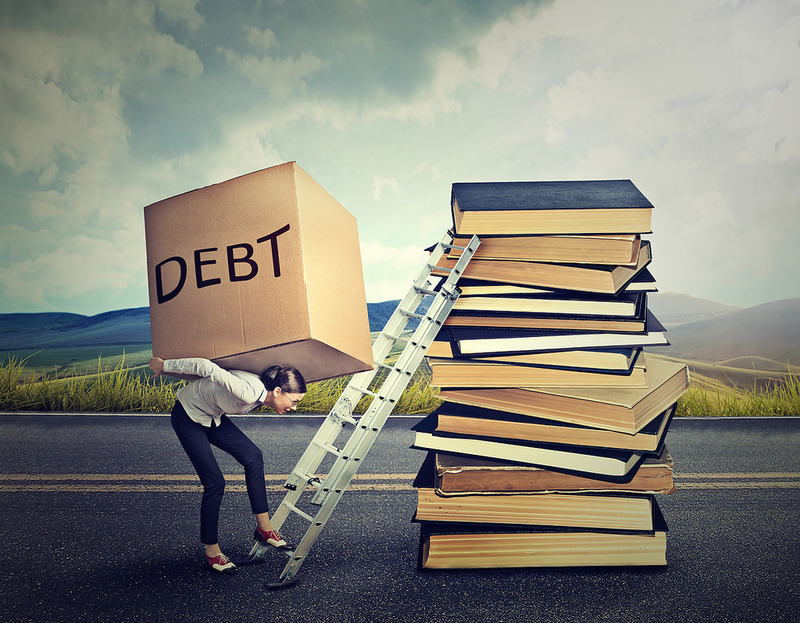 If you believe that you will be in this position soon after graduation, then it may be wise to overpay a lump sum off of your debt, should you find yourself with the cash to do so, as this will reduce your interest repayments and hence the time over which you need to make repayments. The interest rate debate has rekindled many of the arguments against tuition fees in general, and there are many who remain in stark opposition to them, none more so than the Labour Party, who pledged to remove tuition fees in their manifesto this year. Though this promise is likely backed with good intentions, these intentions may be misplaced. The cost of doing this would be £8 billion per year, a bill which would have to be footed by the tax payer. Since, as I outlined earlier, the debt repayment system as it currently stands effectively acts as 9% additional income tax for graduates, the abolition of this would then put equal responsibility to pay on both those who attended university and those who did not, which may be seen as unfair considering the income gap between the two groups, where the latter group earns up to £12,000 a year less than the former. Additionally, the IFS highlights that the real effect on low income graduates would be fairly insignificant, in comparison to high earners. The top 35% of earners would stand to save almost three times as much as the bottom 35% should fees be scrapped. So, most of us needn’t worry about the interest rate news, and can rest easy knowing that the debt which seems to await us after graduation can hardly be considered a debt at all; there is no real risk of default, nor any bailiffs to be feared; your credit rating isn’t affected; and you don’t have to repay a penny until you’re earning over £21,000. For those who are set to earn enough to repay the debt in full the interest rate rise may understandably leave a sour taste in your mouth, though I’m sure it’s nothing a new Mercedes or a few weeks in Dubai won’t fix.